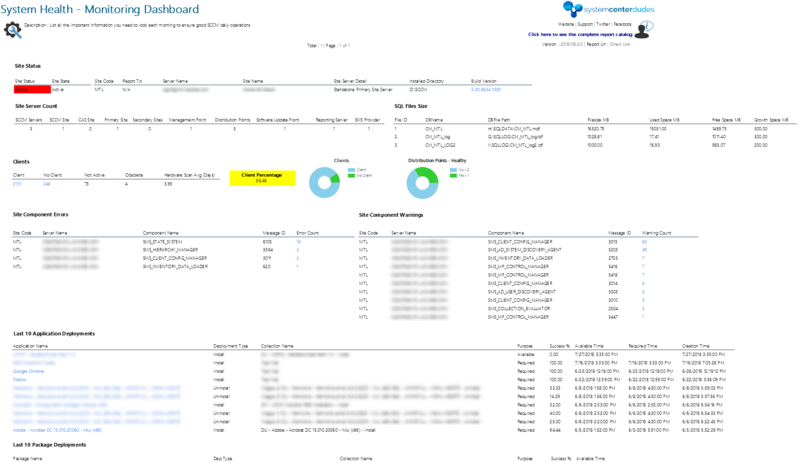 Our SCCM Monitoring Dashboard report shows all the necessary information to look for a healthy SCCM Infrastructure. We like to use this report in the morning to check that everything runs smoothly. SCD is operated by Paypal and Stripe. Credit cards are accepted.